Millennials are a mystery. Especially if you’re a Baby Boomer like me. In the Boomer era it was not unusual for over one-third of the nation to be watching the same TV show. During the day, up to half the neighborhood listened to the same radio station on their drive home. And every adult in town read one of two newspapers. If you mention The Brady Bunch, The Beatles or Watergate to a roomful of Boomers, virtually every face will light up with nostalgic recognition. Not so with Millennials. Today we have over 500 cable channels, Netflix, Hulu, YouTube, iTunes, Spotify, podcasts, Facebook, Instagram, Snapchat, Twitter and so much more. All with use-it-when-you-want-it capabilities. Because of the massive array of choices, there aren’t nearly as many communal experiences as there used to be. 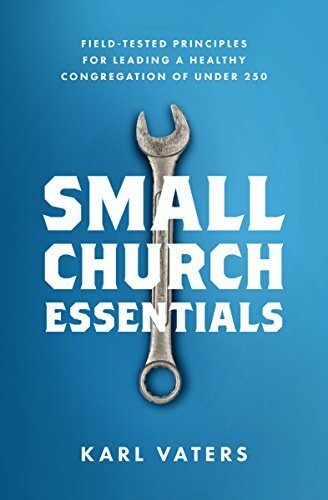 But church leaders keep looking for that one key to the heart of Millennials. Here’s a harsh reality every church leader needs to hear – starting with me. There is no key the the heart of millennials. Because millennials aren’t really a group. There is no key the the heart of Millennials. Because Millennials aren’t really a group. They’re individuals who just happen to have been born within the same general timeframe. As long as church leaders keep seeing Millennials as a monolithic group, we'll keep getting it wrong. Millennials defy the kind of group categorization we’re used to. So, if Millennials can’t be clumped together as a group, like we’ve done for a generation or more, what should we do instead? We need to see them like Jesus does. As individuals, not a demographic group. Jesus never saw people the way others categorized them. He didn't treat women like women, Samaritans like Samaritans, or lepers like lepers. His meeting with Nicodemus (John 3) shows us that Jesus didn't even treat all Pharisees through the same negative lens. Jesus saw and treated everyone as an individual. So why do we keep looking for the key to understanding Millennials as a group? And why are Boomers especially susceptible to this? First, because Boomers like being seen as a group. Our common experiences make us who we are. And we assume others must be the same, we just haven’t figured out what their Brady Bunch is yet.